Navigating the geopolitical domain surrounding energy is always difficult, but in the lead-up to the U.S.-Russia summit in Helsinki, it is particularly complex. While energy is unlikely to be a first order item for the summit, a number of topics likely to be raised could intersect with energy issues. Senior Russian officials have been vocal about energy related items in the run-up to the July 16 meeting, perhaps hoping that recent oil market volatility will give Moscow a leg up to make the usual pitch about the positive role its energy trade can have in the bilateral relationship. 1. The United States would like Moscow’s help to restrain Iran’s expansive role in the Mideast because it believes that this would help U.S. regional allies and better enable the United States to exit costly conflicts in the region. The subject of the ongoing conflicts in Yemen and Syria is bound to come up at the summit, especially if the United States and Russia seek to open better lines of military to military communication between top U.S. and Russian military leaders. This consultative approach is considered critical to avoiding an accidental escalation of military conflict, the dangers of which have risen in recent years. For its part, Russia will argue it has offered some accommodation on the Iran issue and would like something back in return. First, Russia’s top diplomats announced Moscow wanted to see the withdrawal of all non-Syrian forces from Syria’s southern border areas. That move was taken as a betrayal by some in Iran where MPs accused Russia of being an unreliable partner that would willingly sacrifice Iran to bolster relations with the United States. Then Russia backed an agreement with Saudi Arabia and other oil producers including the Organization of Petroleum Exporting Countries (OPEC) to increase oil supplies. Iran was unhappy that Moscow showed its support for the oil producer agreement, especially given the context of the re-imposition of U.S. sanctions against Iranian oil export sales. President Trump made no secret that a Saudi-Russian agreement to raise oil production was the firm wish of the United States. But paving the way for the U.S. summit wasn’t likely the main reason Russia wanted to see oil prices stabilize at a lower level. Moscow had its own reasons to want to prevent a surge in oil prices. High oil prices make it harder for the Russian government to prevent ruble appreciation which would be bad for the Russian economy. 2. Arms control will be top of mind for the summit. The United States wants to signal its steadfast support for East Europe allies. This topic will trigger mutual accusations of violations in the Intermediate-Range Nuclear Forces Treaty (INF) treaty. While arms control will be a high priority topic, the back drop to any discussion of the INF and missile deployment will circle back to U.S. diplomatic support for Eastern Europe. That, in turn, could trigger a tangent to the United States’ open opposition to Russia’s Nordstream 2 direct natural gas pipeline expansion to Germany. Germany favors the expanded line to enhance its ability to bypass other gas pipeline transit countries like Poland, Belarus, or Ukraine, saying this will promote Germany’s energy security. The United States argues that the pipeline project, which would benefit Germany economically and strategically, could raise Europe’s dependence on Russian energy and weaken the Eastern European countries’ status vis-à-vis Russia as well as potentially shift needed income from the smaller Eastern European economies to to Germany. 3. The United States would like Russia to play a helpful role in negotiations for the denuclearization of North Korea. If past efforts are any indication, energy could be a piece of the economic package North Korea can hope to achieve through a peace treaty. Russia stands to be an important beneficiary of any energy deal that is part of the North Korean negotiations since one obvious option to North Korea’s energy problems could be a natural gas pipeline that would carry Russian natural gas via China to both North and South Korea. It’s not new for Russia to figure energy could be a constructive force to any U.S.-Russia relationship reset. Energy has been part and parcel of several U.S. attempts to improve relations with Russia in the past, as far back as 1993. At that time, the U.S.-Russia summit led to the creation of the Gore-Chernomyrdin Commission to promote economic and technological links, including energy. As part of that diplomatic process, the United States offered up American know how to help Russia revitalize its oil sector. ConocoPhillips was an early mover with its Polar Lights venture, but eventually it and other U.S. oil companies that entered Russia at the time found a host of legal, regulatory, and logistical barriers that turned profitable ventures into losing propositions. The failure of U.S. oil investing in Russia mirrored similar setbacks in U.S.-Russia arms control agreements. 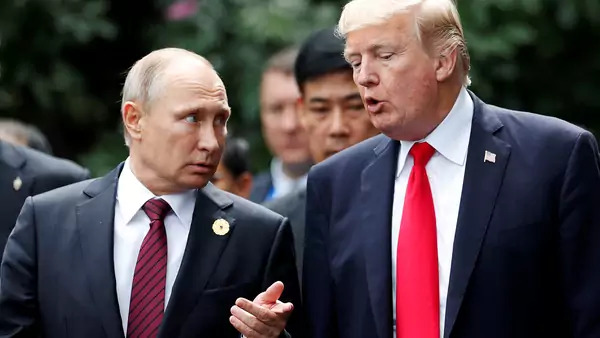 In the aftermath of the terrorist attacks of September 11, 2001, the United States and Russia revived their bilateral energy dialogues, after Vladimir Putin signaled that Russia was ready and able to help diversify global energy supplies away from the Middle East. In May 2002, President George W. Bush and President Putin initiated a new high-level dialogue on energy that led to several energy specific summits and new deals for American oil and gas companies in Russia. But soon after billions of dollars of fresh U.S. investment began flowing to Russia, the Kremlin began to renationalize its energy sector, and by 2005, U.S. companies not only faced difficult renegotiations of their oil and gas deals but in some cases, outright arrests of partners and the taking of assets. Obama era proposed resets similarly ran aground after Russia invaded Ukraine in 2014. The United States and Europe imposed sanctions on Russia in response, creating problems anew for the few U.S. oil companies that were still remaining on the ground in Russia. This time around, sanctions are top of mind when it comes to energy relations between the United States and Russia. Russian Energy Minister Alexander Novak visited U.S. Treasury Secretary Steven Mnuchin during his visit to Washington D.C. in late June. Reports say the meeting focused on sanctions, which for obvious reasons, the Russians would like removed, and the Nordstream 2 pipeline which Washington has threatened with possible new sanctions. Treasury, at the urging of Congress, has played a pivotal role in showing the Kremlin that it is not out of U.S. reach when it comes to economic levers. The United States targeted Russian aluminum firm Rusal and others with sanctions back in April to punish Moscow for malign activities, such as interference with U.S. elections, and amid suspicions that the Kremlin was behind the murderous use of nerve gas in the United Kingdom. The U.S. imposed April sanctions against Russia caused $12 billion in losses for Russia’s fifty wealthiest oligarchs. With both of Russia’s largest state-controlled energy companies, Rosneft and Gazprom, carrying huge corporate debt loads, further sanctions against those entities could be a major hassle for the Kremlin, which would be forced to intervene, possibly triggering more acrimony and rivalry inside President Putin’s inner circle. From its side, Russia is likely to argue that it has been accommodating to U.S. priorities on Iran and oil prices and try to leverage those actions as evidence that the United States should offer concessions to its concerns. That means the United States will have to think carefully about how energy intersects with other priorities ahead of the summit because it will be tricky to both discourage Moscow from an aggressive posture on U.S. hacking, on military positioning in Eastern Europe, and on arms control and still reap the benefits of its cooperation in the Middle East and oil markets. Keeping items compartmentalized and in different buckets might seem feasible at first glance. The United States still achieved successful détente with the U.S.S.R. during the Cold War, for example. But as the U.S. summit with Russia approaches, better definition of priorities when it comes to energy will be necessary. Some items are already creating inconsistent messaging; for example, asking European nations to veto the Nordstream 2 pipeline to avoid over-dependence on Russia while at the same time, encouraging Russia to sell more oil to Europe to replace Iranian barrels and elsewhere to lubricate the oil market. Backing a Russian natural gas pipeline to the Korean peninsula could also seem untoward both to European advocates of Nordstream 2 as well as to U.S. exporters of American liquefied natural gas (LNG) who have been making headway lining up long term supply contracts to South Korea. The U.S. advance team to the summit will have to align competing interests to prepare more consistent messaging for Russia on these various energy elements, even if energy isn’t going to be in the top three topics for deeper discussion. Lack of clarity could muddy U.S. effectiveness in discussions or worse, leave Russia with geopolitical advantages it has shown it will exploit to divide the United States from its allies. Russia is likely hoping that energy exigencies will create an opening for it to gain concessions from the United States in other areas. The fantasy that Russia could somehow provide the United States a big lever against Iran in Syria and elsewhere may have initially clouded U.S. judgement over what is possible. Iran is unlikely to go quiet into the night, as it has made clear recently with threats against international shipping, regardless of how Moscow plays it. The United States needs to seek substantive discussion on other areas that don’t involve Iran, to avoid having the summit success reduced to empty promises on cooperation between the United States and Russia regarding Iran, when in reality, Moscow cannot likely impose sustainable constraints on Iran’s military actions, even if it wanted to. When discussing the topic of Europe, the United States should keep in mind China’s massive energy and other critical industry investment expansion into the continent. That could be a more fruitful topic that is putting Russian leaders on a back foot. To date, the real challenge to marketers of Russian oil and gas to Europe has not been U.S. LNG exports which are only just starting (U.S. energy sales to Europe are still a negligible volume compared right now to Russian natural gas sales which have been on the rise). It is renewable energy which is the bulwark of Europe’s energy independence from Russia. China could become the major actor in Europe’s clean energy future and that will influence both long run U.S. and Russian links to the continent as it has in Central Asia. The United States has been downplaying expectations for the Helsinki meeting, noting the fact that it is taking place is an improvement to escalating tensions. Preparations for a summit will likely force U.S. policy makers to square the circle on apparent inconsistencies in U.S. international energy diplomacy. Given the wary eye of Congress, the Trump administration is unlikely to offer Russia any sanctions relief until when and if Russia demonstrates substantive results on the ground. The United States should also be cautious about trying to orchestrate future participation of American oil and gas companies in Russia as a possible diplomatic carrot. The history of such initiatives is spotty at best, and it only takes one reckless unexpected action by Moscow to force Washington to press companies yet again to cut back on any progress on energy cooperation that could be made in the short run. A cautious approach to talk of energy cooperation would be wise at this juncture until more progress is made on higher priority issues.